HEC-RTS (Real Time Simulation) is the public version of the Corps Water Management System (CWMS) Control and Visualization Interface, or CAVI. 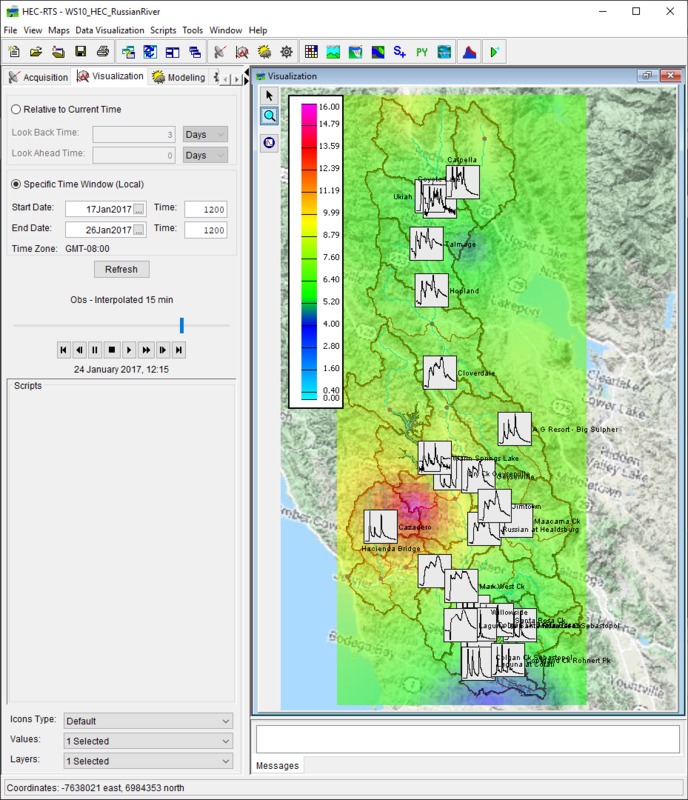 It is a comprehensive data acquisition and hydrologic modeling system for short-term decision support of water control operations in real time. It encompasses data collection, validation and transformation, data storage, visualization, real time model simulation for decision-making support, and data dissemination. In its Corps implementation, CWMS uses an Oracle database and Sun Solaris workstations for data processes and storage. HEC-RTS is a Windows based version of CWMS without the use of an Oracle database. that issue through the HEC-RTS Bug Report page. Also, please review CEIWR-HEC's Support Policy page for further details.